This week's crop of comics was truly epic. I didn't get a chance to review all of the comics I wanted to read and still ended up with one of the larger Thursday Morning Superhero entries to date. This week featured a new comic from Warren Ellis, Matt Kindt doing what he does, and an epic crossover. Star Wars: Rebel Heist #2 - Matt Kindt continues to tell what I consider his love story for Star Wars. We learned of his love for Han Solo in the first issue and now we are treated to his love of Princess Leia. 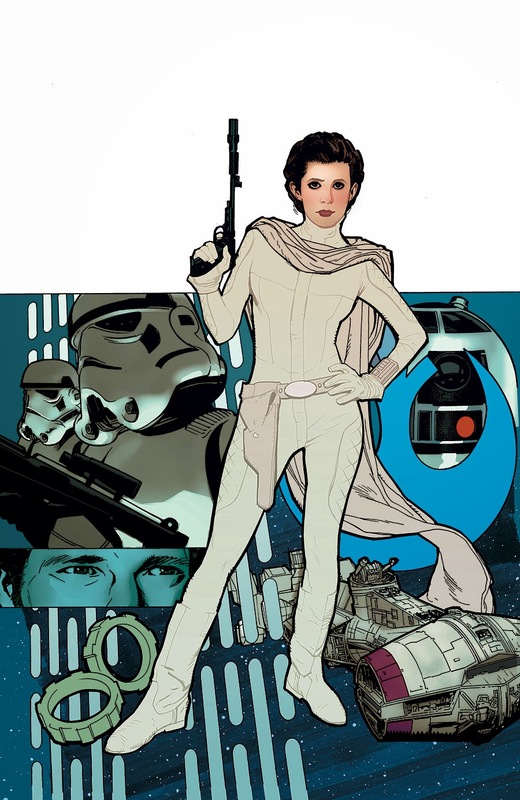 Kindt's take on Leia makes her an even stronger woman than portrayed in the movies. What I love about Kindt's series is how each story is told by a different member of the rebellion and we get to see the Star Wars characters through their eyes. It is a personal view into characters I have known since childhood. The comics are fun, can be enjoyed on their own, and should most likely be made into an animated series. Kindt does such a nice job of painting heroes as relatable humans. He takes these characters that are larger than life and makes them human. Highly recommend for any Star Wars fan. 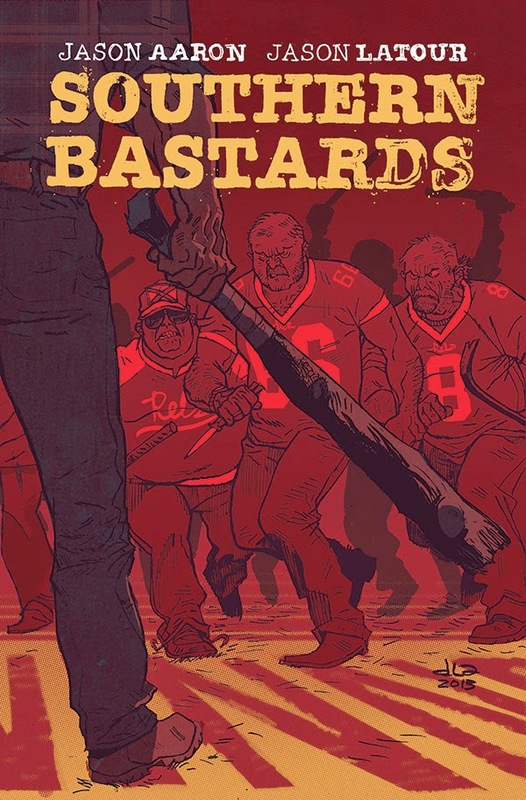 Southern Bastards #2 - The duo of Jason Aaron and Jason Latour give us an insight into the seedy underbelly of small southern towns in which high school football is king. Earl Tubbs returned to Craw County to simply pack up his father's stuff and get the hell out of dodge. His father, the former Sheriff, loved and cared about this small town dearly. Earl wanted nothing more than to escape. He finds himself mixed up with Coach Boss and his cronies. Dark, gritty, and vastly entertaining, Southern Bastards should make its way to the top of your pull list. Now is the time to catch up because based on the conclusion of this issue, #3 is going to be one you won't want to miss. Mind MGMT #22 - One of my favorite comics continues to ramp up as both the rebellion and the Management are attempting to sway The Magician. We learn a good deal about her background and why Meru shutting down her ability was so harmful to who she was trying to become. Dark Horse hinted that one would not survive this arc and I am worried for Henry Lyme and crew. Matt Kindt goes the extra distance to continue to produce one of the most beautiful and thoughtful comics of all time. Chew/Revival #1 - In theory a mash-up between Chew and Revival doesn't make a lot of sense. I have read the first trade of Revival (it is great) and am current with Chew and never saw these two worlds interacting. Despite my reservations, this issue was a lot of fun and worked really well. If you are a fan of either series it is worth your time. You get two separate stories that are both quite entertaining and the juxtaposition of the drama of Revival with the insanity that is Chew simply works. It was hinted at a Poyo/Saga crossover and I think that would be glorious. 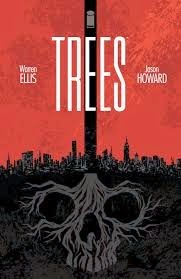 Trees #1 - The new title from Warren Ellis paints a picture in which the world has been invaded by intelligent life. The problem is that the intelligent life that invaded the earth don't recognize humans as intelligent or living beings. While we have not seen what they look like yet, they have planted trees across the globe. Giant pillars that grow through the clouds and occasionally release a waste product. This issue really sets the tone for the series and introduces us to some key players. Nothing major happens, but Ellis does a nice job setting up the pins. Batman #31 - Zero year continues to rush towards its epic showdown between Batman and the Riddler. Batman and Gordon's plan comes to fruition as they attempt to trace the signal from the Riddler's signal in order to pinpoint his location within Gotham. Mix in some gladiatorial style combat and a flashback to the high school days and you have another successful issue from Snyder. While not my favorite arc thus far, it is shaping up to have quite the exciting conclusion and has given me a new found respect for the Riddler. 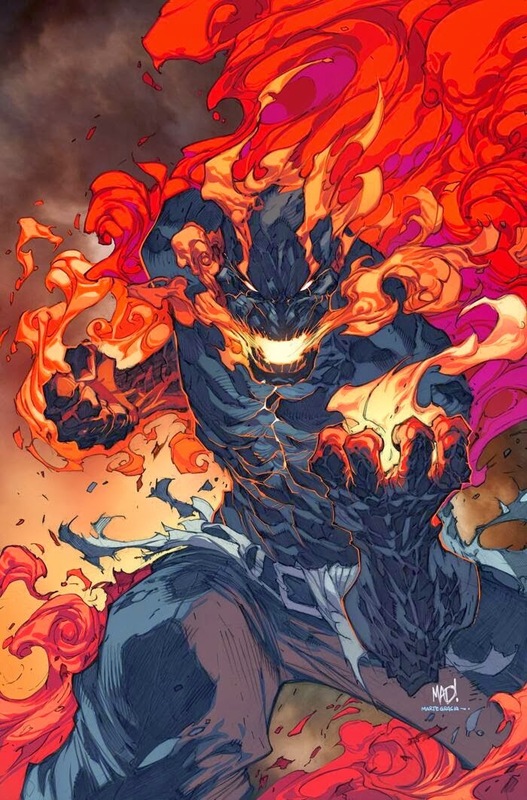 Inhuman #2 - This series is rapidly approaching my favorite from Marvel. With similarities to classic X-Men faire, the Inhumans are seeking acceptance from humans. Medusa, the queen of the Inhumans, has a crew that is following the Terrigen cloud and providing assistance to the newly discovered Inhumans. Captain America shows up in this issue and proposes that S.H.I.E.L.D. help out Medusa to ensure the safety of both humans and Inhumans. After A.I.M. attempts to secure a piece of Attilan technology that has fallen into Times Square she reluctantly agrees. This series really feels like a natural throw-back story filled with super human abilities and it makes me one happy reader. Deadpool #29 - This was the first Original Sin tie-in that I picked up and it was ok. I am excited for what it set up, Disco era Dazzler battling Vampires, but this issue felt a little flat. It still had the usual crude Deadpool humor, but not much really happened. I enjoyed learning about Deadpool's daughter, but was hoping for a bit more. If you are a fan of Deadpool then you should be reading this as it sets the stage for what I hope is great, but if you were thinking about leaping on for the tie-in I would suggest waiting.